Overview: When mobsters slew his family, Frank Castle vowed to spend the rest of his life avenging them. Trained as a soldier, and equipped with a state-of-the-art arsenal, he now wages a one-man war on crime! This is Essential Punisher Vol. 3 – get comfortable, as this is going to be a wild ride! Writer Mike Baron continues the same basic formula that we saw in the previous volume. The stories run in small arcs, generally one or two issues at a time. We do see some characters re-occur from time to time. A villain introduced in the last collection, the Rev, resurfaces in Central America later in this volume. In that same story arc, we also get the return of Jigsaw, who still holds a grudge against Frank for the damage done to his face. As we saw last time, the Punisher is still partnered with his tech-whiz Microchip, but we see over the run that they may no longer be working towards the same goals. During this era, the Punisher continued to grow in popularity, and we start to see that impacting his comic as he crosses over more and more into the Marvel Universe. Most obvious, as we see it on the cover, the Punisher gets caught up in the Acts of Vengeance storyline. That was the story where the villains unite under Loki, and swap the traditional heroes that they go up against. So to change things up, we see the Punisher traveling to Latvia to face off against Dr. Doom. Yeah, it is just as crazy as it sounds. We do start to see the Punisher’s growing popularity in comics, as Mike Baron was directed/forced to incorporate ongoing Marvel events into the Punisher book, like Acts of Vengeance. 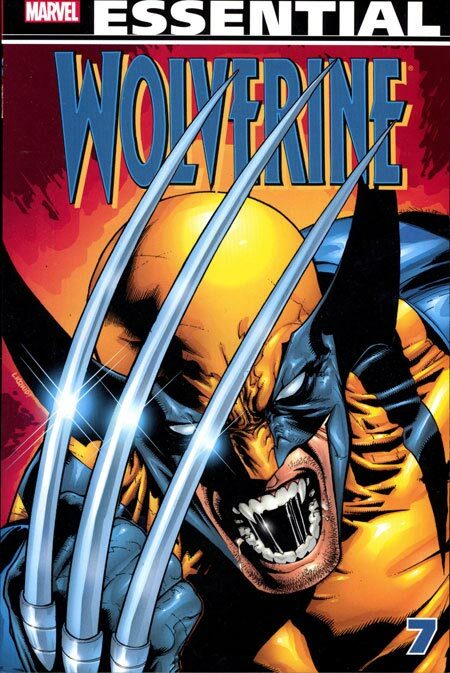 He also gets into a multi-issue skirmish with the Reavers, who have been a traditional foe of the X-Men. 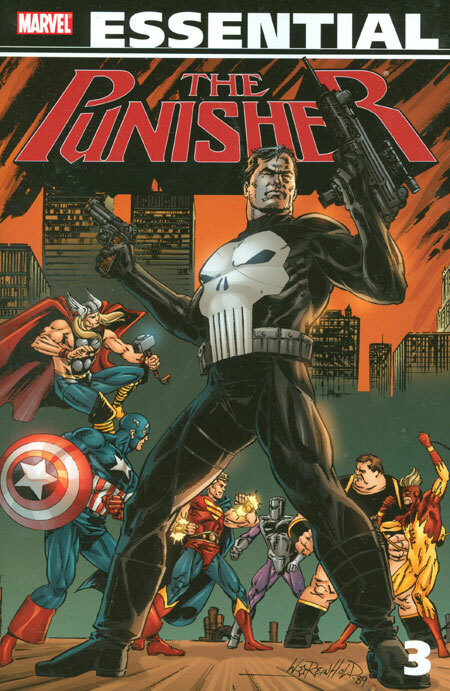 For the final story arc in this collection, The Punisher was one of many titles that switched to twice-a-month shipping during the summer months, giving readers two books per month. So the six-issue story arc was published over a three-month window. Footnotes: The Punisher Annual #2 was one of the 15 Marvel annuals from 1989 linked together in a story arc titled “Atlantis Attacks.” For this Essential, the Punisher stories are included from the annual, but the Atlantis Attacks story is not reprinted here. The Punisher Annual #3 was Part One of the “Lifeform” story arc. The other parts were in Daredevil Annual #6, Incredible Hulk Annual #16, and Silver Surfer Annual #4. If you like this volume, try: the Punisher books from Garth Ennis. Over the last 15 years, Ennis has become the definitive Punisher writer, scripting various runs under the Marvel Knights and Marvel MAX line of books. Often working with artist Steve Dillon, Ennis has kept the Punisher as a current and relevant character in a post 9/11 world. While there are numerous trades and hardbacks collecting these runs, I would suggest tracking down the Punisher by Garth Ennis Omnibus that Marvel released in 2008. This collects Ennis’ work between 2000 and 2004 with the Punisher.